Even to the untrained eye, Chinese architecture is one of the oldest and most recognizable styles in the world. Taking shape in East Asia over many centuries, Chinese building designs have spread to other Asian countries, influencing the architectural styles of Vietnam, Korea, and Japan. 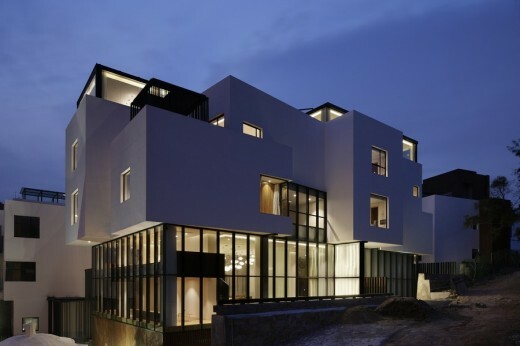 While the Chinese school of architecture has kept largely the same structural principles, starting from the 20th century, a new wave of promising Western-educated young architects have attempted (and in large part succeeded) to include newer, edgier designs and combine them with the already established traditional designs. 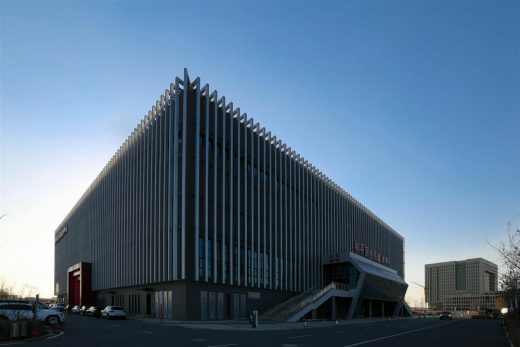 A blasting example of this new trend is the Citizen Fitness Center in Heping District. Here is how terracotta panels are reshaping China! The city of Shengyang (initially known in English as Fengtian), whose metropolitan area hosts over 8 million people, is a bustling metropolis with a rich history and culture. Founded around 300 BCE, it has since become one of China’s most important industrial centers and transportation hubs, having links with Russia, Japan, and Korea. Shengyang is an industrial and economic powerhouse, with a particular focus on heavy industry, more specifically heavy equipment, machine tools, electronics and automotive. But what sets this city apart from other metropolises is its unique architectural landscape. The city of Shenyang boasts an interesting and eclectic architectural style which combines elements of European building designs with ancient Chinese architectural principles. Adding to this eye-catching blend is the government’s inclusion of terracotta. 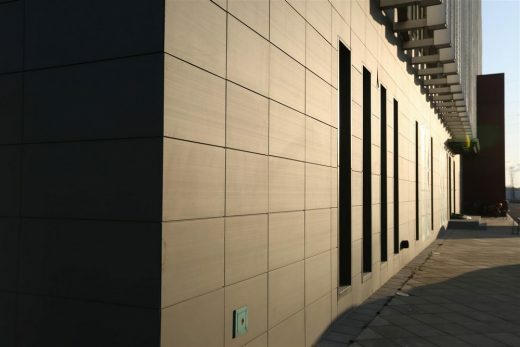 This eco-friendly building material has been slowly gaining momentum in the last few years and can be seen on an increasing number of building facades all throughout the country. 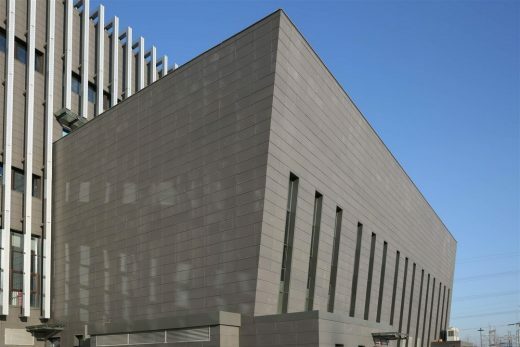 One of the most promising projects in this respect is the Citizen Fitness Center located in Shengyang’s Heping District, Lopo China being the main provider of terracotta facades for this project. Heping (literally translating to ‘’Peace District’’), is one of Shengyang’s most populous and oldest districts. A center of commerce, culture, and finance, filled with shopping centers, banks, and various activity centers, Heping district hosts many of the European-style buildings mentioned in the previous entry. 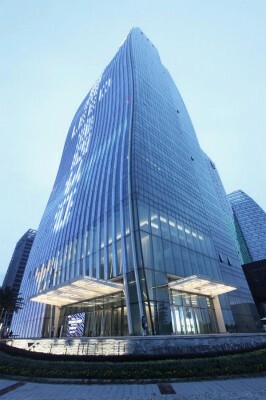 Heping’s unique architectural landscape has been greatly enriched in 2017 by the Citizen Fitness Center. Funded by the Finance Bureau of Shengyang, it is a sizeable fitness center designed to serve all the citizens of Heping District. Measuring 56,000 square meters in site area and over 17,000 meters in floor area, it is one of the biggest public fitness centers in the country. The public building provides the city’s citizens with a diverse set of physical and leisure facilities, from an outdoor playground, a tennis hall to a general fitness area and a swimming pool. The building itself is composed of three stories – the underground floor hosts a gymnasium, the second floor contains a huge skating rink with a capacity of over 4,200 seats, while the third is reserved for a more general set of activities, ball games as well as dozens of auxiliary rooms. 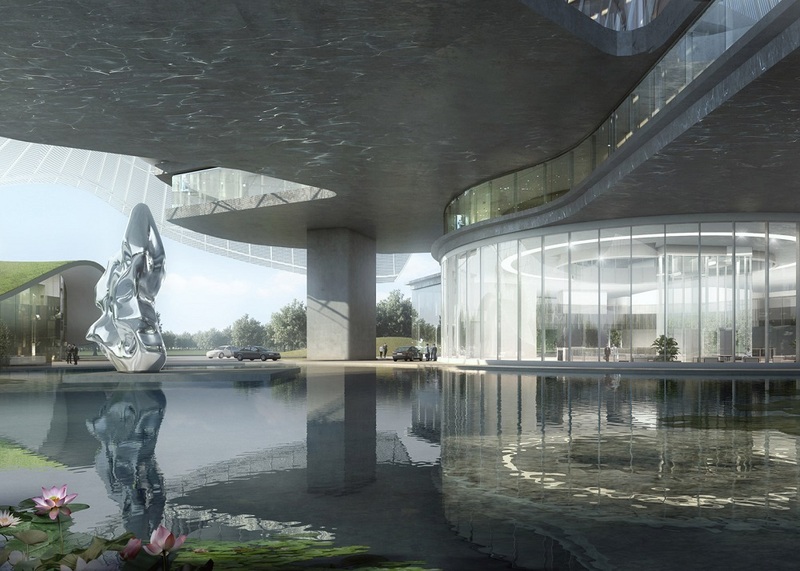 From a structural and design standpoint, Shenyang’s Citizen Fitness Center is an architectural and engineering success. The fitness center has a rectangular shape, with one entry for each of its four sides, facilitating both easy flow for the crowds, and rapid and efficient evacuation in case of emergencies. On the eastern and western sides of the building, the entrances chock-shaped. Arguably, the most interesting design decision is decorating the already simplistic and elegant building with gray terracotta curtain walls. 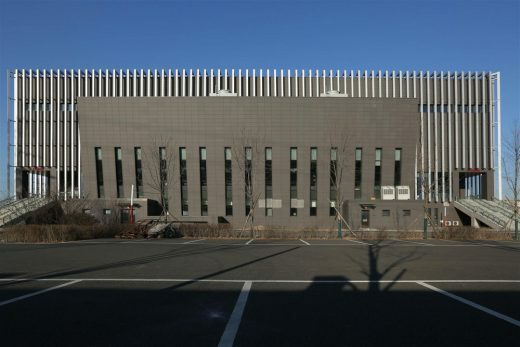 From the roof to the ground, the fitness center is clad with rectangular tubes made out of aluminum alloy, which are positioned at about 600 mm away from the surface of the terracotta curtain walls. This particular design decision (more precisely, blending gray terracotta walls with aluminum alloy tubes) gives the building a sense of scale and magnificence, without making it seem intimidating or overwhelming. But apart from the impressive visual elements, the designers and engineers also had a practical reason for employing this architectural design. The city of Shenyang is situated in one of the coldest regions in Northern China, and since most of the interior space is occupied by an ice skating rink, the building has an extremely high demand for energy consumption. In an effort to make the building more energy efficient, the builders decided to build its walls out of terracotta rain screen. As a result of employing this eco-friendly material, the fitness center is extremely well insulated from a thermal standpoint for a building of its scale. Shenyang is a bustling metropolis boasting with culture and historical significance. The city features a unique blend of traditional Chinese architectural elements and modern designs, and one of the most relevant examples, in this case, is the Citizen Fitness Center in Heping District. 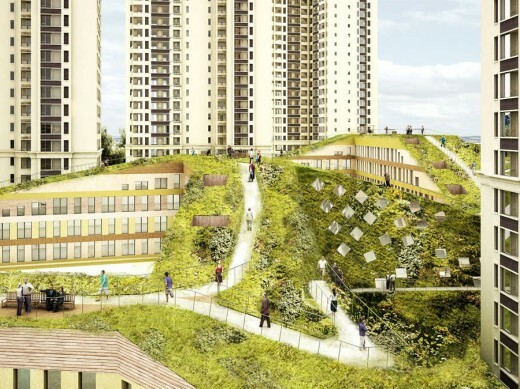 Out of a desire to enrich the city’s landscape with unique architectural elements and design a building that is both large and eco-friendly at the same time, the architects and engineers decided to use terracotta and decorate the building with rectangular tubes made out of aluminum alloy. The results? A building of such magnificence and high standards that both experts and amateurs will surely appreciate.